I thought I'd share some great finds with you, especially if you're local. I dropped Mr. Ben off at preschool shortly after lunch and headed to Webster to do a little shopping. I struck gold today! I went to Kohl's and Ulta and let me tell you, there are bargains at both! You know I am a bargain hunter and never pay full price for anything and I was in my glory. First stop: Kohl's. 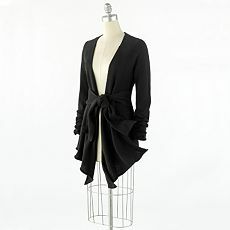 I found a great top from Dana Buchman for $6.40, a versatile swingy black cardigan for spring from Elle ($8.80), a sparkly Vera Wang belt ($2.80), a pair of ruched black leggings to wear under shift dresses (also $2.80! ), and a couple Simply Vera Wang 3/4 sleeve tops (one in berry and one in black) each for $5. I paid about $30 for all of those items. Then I headed over to Ulta with my coupon from In Style (save $5 off a $10 purchase) and headed to the clearance racks. They have an 85% off rack near the hair dryers and other styling tools. They take 85% off the original price at the register. 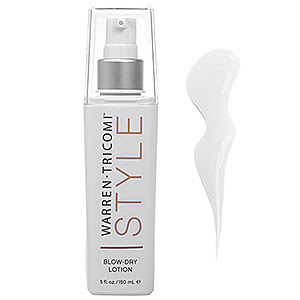 They have a great paraben-free spray I like by Warren Tricomi. It's cruelty free and a Leaping Bunny item. It's the Hot Set Spray and it is normally $17 for 5 ounces. It was $2.55! I bought 2 of those. I also bought the Warren Tricomi Blow Dry Lotion for $2.25 each. The ingredients aren't as great in this one, but they are better than most products on the market. I also bought a lipstick from the Sally Hansen Natural Beauty Inspired by Carmindy line. It was also 85% off and was just over $1. It was enough to put me over the $10 minimum for my coupon. I spent around $8 total for those 5 items with my coupon. You cannot beat that. I am sad, though, because it looks like the Carmindy line is being phased out at Ulta. They had powders and foundations on the 85% rack as well. They did not have my shade, but if you're medium to deep in skin tone, they still had some today and each item would be under $3. I need more time to poke around at both stores later. I came home to take the dog for our afternoon walk before I pick up Benjamin and thought I'd share the finds.